If you followed results from PanAm Trials, you may have noticed that the lightweight women had a dominating performance. Many congrats to Mary Jones in the light women's single and Sarah Giancola and Victoria Burke in the light women's double for pulling such fast times. I was eliminated in the semi-final round. It was definitely disappointing, but it was a 10-second PR in the single for me, so I was still really proud of the result. There were a lot of mixed emotions to process—I knew I'd gotten a lot faster, and that was correct, but it turns out everybody else got a lot faster, too. 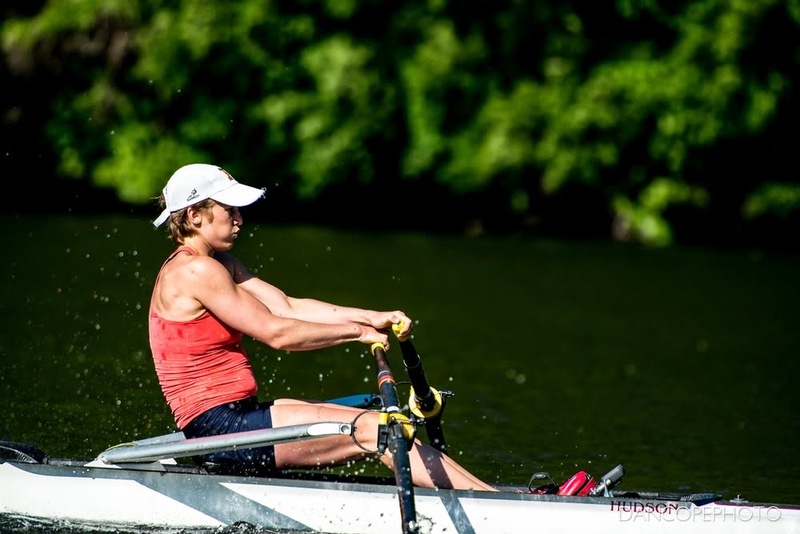 After a week of processing, I travelled down to Washington, DC to train with three other lightweight women out of the Potomac Boat Club. 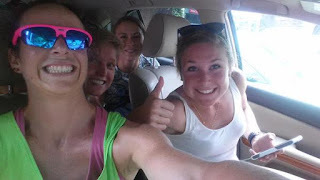 All four of us raced the singles at PanAm Trials, and have been spending the last few weeks trying to mesh as a crew. Starting this evening, we'll be racing in the lightweight women's quad at World Championship Trials, alongside Riverside and Vesper crews. For the last two years, there have been only two quads and a lot more singles racing at trials, so it will be fun to have a competitive three boat final. It's been really fun to watch the depth increase over this Olympic cycle, even if it means working harder to get where I want to be. Racing begins today with a late evening time trial that will determine lanes for Wednesday's final. The winner of the final will earn a spot on the 2015 US National Team for the World Championships. Also starting on Wednesday are the USRowing Elite National Championships. Our quad will be racing the open women's quad (no weigh in!) because there were no other lightweights entered in the quad. We will also be splitting into smaller boats and racing the light women's double and light women's single.